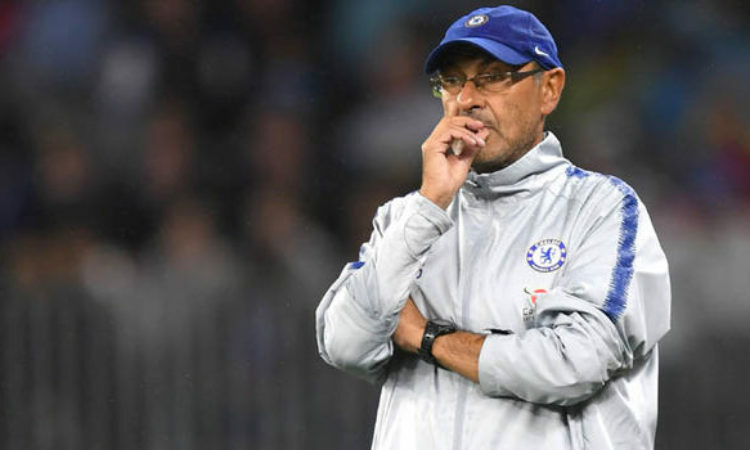 Former Premier League footballer Danny Mills believes that Hudson Odoi is not impressing Maurizio Sarri in trainings. The Chelsea youngster has been subject to speculations in recent weeks with Bayern Munich leading the race for his signatures. The Bavarian Giants in a bid to show their serious nature of landing the player have recently bid £35 million after series of bid have been rebuffed by the Blues. Mills is of the opinion that Hudson Odoi should be featuring for Chelsea on a weekly basis. “If he makes a move, he’s gotta make sure he makes a move for the right reason – to play week in week out. “Too many players leave six months, a year too early. They go for the big contracts, they’re on the bench, they don’t quite get in the team, and then a year later they’re almost unheard of. Then they’re having to drop back two or three steps from where they were just to get football. So I think [Hudson-Odoi] has gotta be careful. “He needs to play football, but there’s clearly something that Sarri’s not seeing in training to give him those opportunities. “Even in the lesser games, he hasn’t really got opportunities. And you’re thinking, well he’s given Ross Barkley a chance, given [Ruben] Loftus-Cheek a chance at times, why is he not giving Hudson-Odoi his opportunity in some of those games? Hudson according to reports have shown signs of promise to Sarri in recent times especially in the defensive phase as a positive phase. “I don’t want to talk with him about something that I cannot resolve [transfers],” he said. “I cannot solve it. So I am very happy with him. One month ago, we worked with him for the defensive phase and he improved immediately. “And now we are working with him about movements without the ball. In my opinion, he is improving. So, on the pitch, we are really very happy with him. He is improving a lot in the last two months.